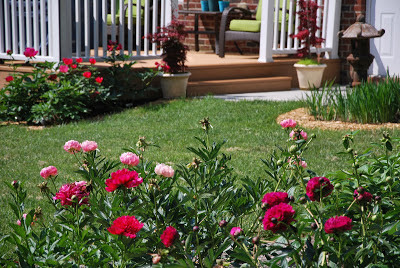 Peonies are a great plant for landscaping. They provide loads of blooms and color for several weeks in the spring. They also have great long lasting foliage that stays green for 3 seasons providing a great backdrop for other plants in the landscape when they're not in bloom. And in fall, the leaves on some peony varieties begin to change into eye catching colors for yet another show before the foliage begins to fade. If you're unsure where to plant peonies in your landscape, take a look at these photos for some ideas. 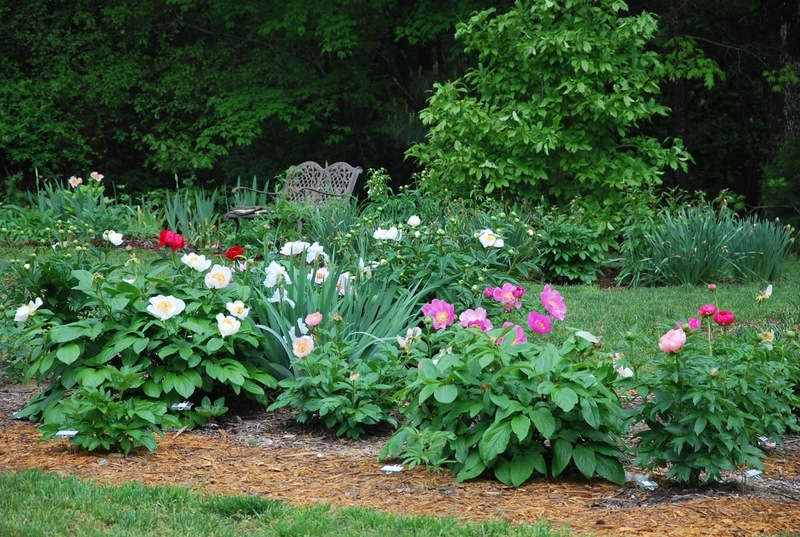 Peonies can be planted singly or as a group of specimen plants in wide open sunny areas. They can also be used in border plantings around foundations, decks, and patios. They can be planted in mixed perennial borders around garden benches so their blooms and fragrance can be enjoyed up close. 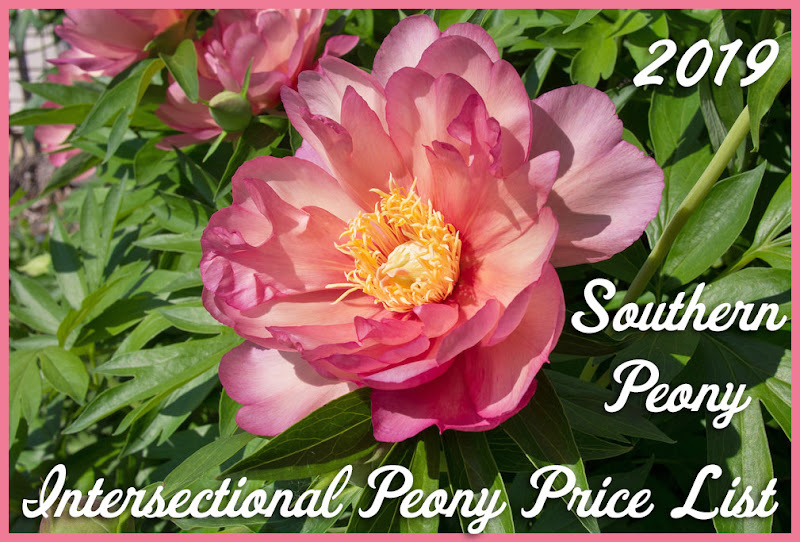 The American Peony Society has a special award that is given to peonies that are especially suited for landscape use - strong stems, long lasting foliage, and of course lovely blossoms! 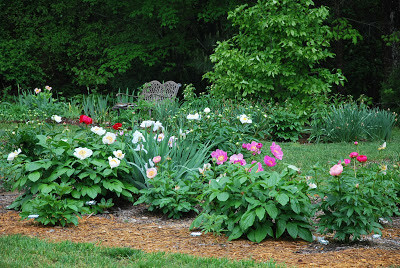 This is the APS Award of Landscape Merit which is awarded to peonies with "reliable performance across North America". 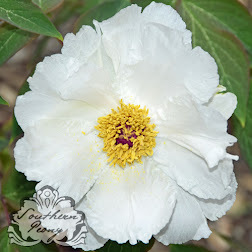 So if you're thinking of adding a peony (or several) to your home landscaping, check out this list of great landscaping peony cultivars!